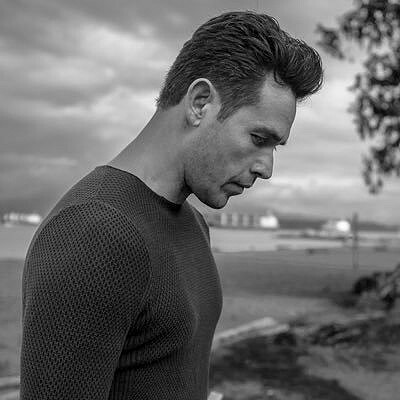 Kevin Alejandro was born on April 7, 1976 in San Antonio, Texas, USA as Kevin Michael Alejandro. He is an actor and producer, known for Arrow (2012), Southland (2009) and Bedtime Story (2017). He has been married to Leslie de Jesus Alejandro since February 14, 2004. They have one child. 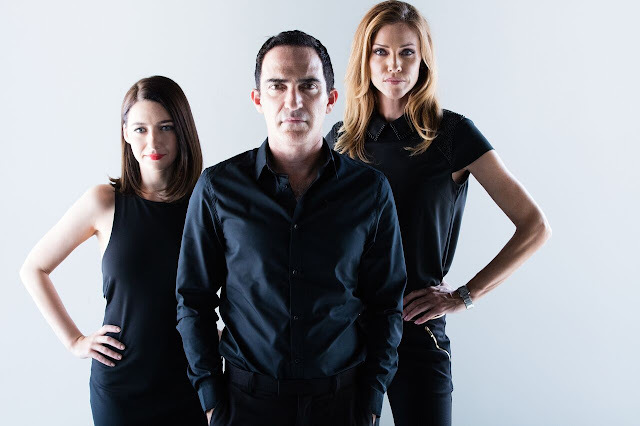 Patrick Fischler was born on December 29, 1969 in Los Angeles, California, USA. He is an actor and producer, known for Mulholland Drive (2001). He has been married to Lauren Bowles since May 27, 2005. They have one child. Tricia Helfer is a Canadian cover girl model-turned-actress who has developed her resume beyond the catwalk to include many diverse roles highlighting her versatile and natural screen presence. Best known as the face of the series, and for her Leo award-winning lead performance as the humanoid, Cylon 'Number Six' in the critically acclaimed Syfy series, "Battlestar Galactica," Helfer has since gone on to book leading roles on a wide variety of networks. Tricia currently stars in FOX's "Lucifer", switching gears from the role as Lucifer's mother Charlotte, to an attorney by the same name. Prior to "Lucifer," Tricia was recurring in season two of the Playstation & Sony Picture TV series, "Powers." Just before that, Helfer also played the lead of the Syfy channel's original miniseries "Ascension" co-starring Brian Van Holt. In early 2014, Helfer starred as the lead of the ABC series, "Killer Women". The Sofia Vergara-produced series followed beautiful badass Molly Parker (Helfer), in the notorious Texas Rangers frontier patrol, as she pursued justice despite being embroiled in a continuous fight for her peers' respect. Born in Donalda, Alberta, Canada, Helfer launched her modeling career at age 17, and erupted into an international superstar after winning the Ford Models' Supermodel of the World Contest in 1992. Her modeling credits include appearances in high-end ad campaigns for Giorgio Armani, Ralph Lauren, Versace, Givenchy, and Dolce & Gabbana as well as covers for national publications such as ELLE, Cosmopolitan, Marie Claire, Flare and Vogue. In 2002, Helfer turned her focus to acting, moving to Los Angeles and quickly earning a guest star spot on the second season finale of "C.S.I. : Crime Scene Investigation." The following year she earned her break with "Battlestar Galactica," achieving a remarkably fast and successful transition into acting. During her hiatus from "Battlestar Galactica," Helfer portrayed the legendary Farrah Fawcett in NBC's film, "Behind the Camera: The Unauthorized Story of Charlie's Angels." She furthered expanded her portfolio by starring as 'Stephanie Jacobs' opposite Dennis Hopper and Billy Zane in the independent feature "Memory," and later starred alongside LeeLee Sobieski in another independent, "Walk All Over Me," which premiered at the Toronto International Film Festival. Helfer returned to the small-screen in 2008, joining the cast of the USA Network's hit series, "Burn Notice" for a multi-episode arc. The next year she filmed recurring guest spots on the award-winning CBS comedy, "Two and a Half Men," while appearing on Fox's crime shows "Chuck," and "Lie to Me." In 2010, Helfer booked a series regular role on the ten-episode arc of Jerry Bruckheimer's "Dark Blue," starring opposite Dylan McDermott and went on to do a variety of terrific roles on series such as "Suits," on USA Network, "Key and Peale," "The Librarians," "Community," "Chuck," "Jeremiah" and "Franklin & Bash," among others. In addition to her vast array of television roles, Tricia starred in the film, "A Beginner's Guide to Endings," with Harvey Keitel, Scott Caan, and JK Simmons and ;ater, went on to star in "Authors Anonymous" with Kaley Cuoco-Sweeting. Next up, is another lead role in thriller, "Isolation" co-starring Luke Malby, a film that will portray the true events of a couple vacationing in the Bahamas. The getaway quickly spirals out of control, forcing the couple into survival mode. Adding to her impressive resume, Helfer has done prolific voiceover work in mega-hit video game franchises including, playing the roles of Commander Veronica Dare in Halo: ODST, EDI in Mass Effect 2 and 3, Sarah Kerrigan in Blizzard Entertainment's StarCraft II: Wings of Liberty, for which she won the 2010 VGA for Best Performance by a Human Female, as well as in StarCraft II: Heart of the Swarm. She also showcased her voice talent in animated productions, "Green Lantern: First Flight," a Cartoon Network TV movie, on Disney XD's "The Spectacular Spiderman", and on Disney XD's TRON: Uprising. In addition to acting, Helfer continues to support as many causes as she can, as she strongly believes in giving back. Tricia supports the Humane Society of United States, Best Friends Animal Society, AmFAR, PETA, Kitten Rescue and Richmond Animal Protection Society. Adrian Cunningham, Tricia Helfer and Kevin Alejandro on the Red Carpet at HollyShorts. Kevin Alejandro with JBN Journalist, Rachel Litfin. Tricia Helfer and Kevin Alejandro on the Red Carpet at HollyShorts.